Ground Plane Emulator Error: Could not load emulator database. I got the problem when I made Ground Plane Emulator on PC with Webcam, in my case I got both file VuforiaEmulator.xml and VuforiaEmulator.dat. 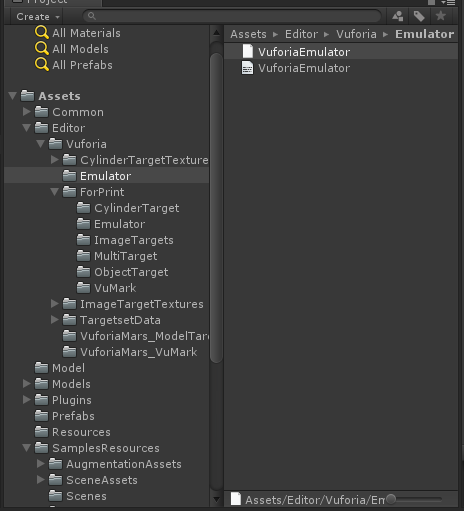 The problem is when in Unity Playmode I got the Error: Could not load emulator database. I already enabled Vuforia Augmented Reality. 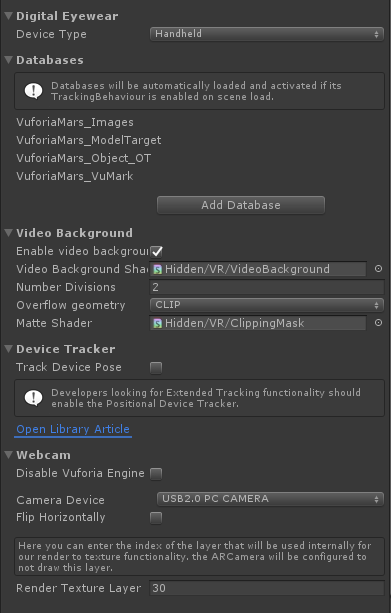 I use Vuforia 8.0.10 with Unity 2018.2.5f1 run on PC. Please check image attached below. Both of them had that error in Unity Play mode with Webcam. If you have any information about this error please let me know. I believe there is likely an issue with how your project has been setup to use Vuforia. I suggest that you review our Core samples, available for free on the Unity Asset store, for best practices.